Recently Brodersen raised even more alarms during Calvary’s Northwest Pastor’s Conference. In a panel discussion, Brodersen insulted Smith and cast a vision for a new paradigm shift in the way Brodersen wants to do things from here on out. 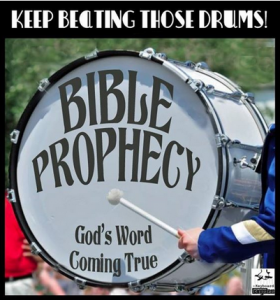 Telling pastors to “tone down” their Old Testament rhetoric, and stop “beating the drum” on biblical prophecy and end times, Brodersen warned they were chasing all the young people away from church. The Calvary Chapel Association promised pastors it will address concerns at a meeting in November of 2017. “My goal is that people will know the important kind of key points of each book. Because I started thinking about– I really started think about the new person that comes in to church, whose never been through the Bible and I started thinking about, man, going like literally reading every word of every book of the Bible, that could be pretty brutal, especially for some. What I really think is, Sunday morning is obviously for most everybody, it’s the largest gathering so you have the most people there Sunday morning. So to me that’s our real opportunity to impart truth to the congregation on Sunday morning. So I feel really strongly that we should be teaching the New Testament on Sunday morning. We’re either teaching the Epistles which is how to live the Christian life or teaching through the gospels which is reminding everybody who Jesus is and what He did. So again, if God spoke to me and said teach Ezekiel on Sunday morning, obviously I would do that but I haven’t sensed that, you know. I really feel a strong conviction about teaching the New Testament on Sunday mornings. And doing it sermonically. Here’s my point. I think you can preach the whole counsel of God without teaching all 66 books of the Bible I don’t think that’s what Paul meant. When he said he preached, I know Chuck meant that. Haha. That’s what Chuck did. You know the last 10 years of pastor Chuck’s life in ministry, um, probably almost every sermon on a Sunday was seriously a doom and a gloom message and it was basically the world’s going to hell but the Lord’s coming so just you know buckle your seat belt, hold on and we’re all gonna be out of here. And so once a month I would preach and I would literally get up and try to counter what was happening for the other 3 weeks because I could just look at the congregation and you know, month by month by month, the heads got whiter and whiter and whiter. We just were losing the younger generation to where when we came to the end, I mean it was hard to find a dark haired person in the congregation. And what had happened is you know Chuck was so convinced about the rapture in his time and he was so frustrated with the direction of the world that he just couldn’t see any other solution. There’s we gotta be out of here but the younger generations sat there and they were like well what does that mean for us and I had a number of kids that would say to me thank you for your message today because it gave me hope that there’s actually something that could do for god. Cause what they were getting every week is you can’t do anything for god because the world’s going to hell and the rapture’s coming and we did it all for god already so don’t worry about it. Just hold on and we’re all gonna get out of ere and this drove the kids out of the church, seriously. And look, I believe in the rapture, I believer in the Second Coming but I think all f us should have learned by now that none of us know when that’s gonna happen and if we get up every week of if we’re constantly banging that drum of you know Ezekiel 38 and all of this stuff, what you’re indirectly sending a message to the younger gen. That there’s nothing left for you to do it’s all been done so just hold on tight the rapture’s coming and you know, my experiences is that they don’t want to hear that. They want to hear that we can do something for god just like you guys did. Our generation can do something, there’s a world to reach. There are people to touch there are missions to be accomplished, there are churches to be planted, and so I’m really you know kind of challenging you guys if you’re beating the prophecy drum, just tone it down because you don’t know. 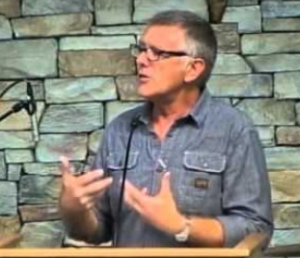 Calvary Chapel: Another Wave Of The Spirit Or A Wave Of Deception? Fed up with false teaching: Calvary Chapel church says “So Long” to the CC Association.